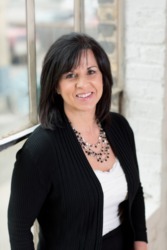 Mary has an unmatched passion for helping clients with the home buying and selling process. Her personal philosophy is focused on educating her clients and providing them with as much relevant information as possible. Buying or selling a home can be stressful, but with the right balance of listening, communicating, educating and negotiating, the process will be enjoyable and rewarding. That is Mary’s commitment to you. Whether you are buying or selling today or in the future, trusting Mary and the Barker Hedges Group is the best place to start. Welcome to the Group!